3. 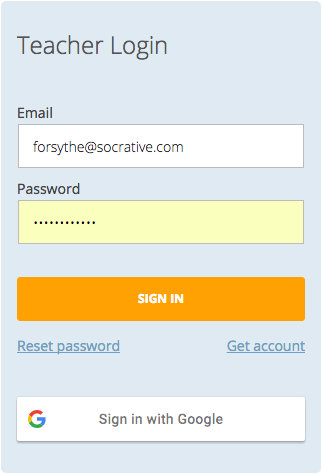 Enter the email address and password for your Socrative account and click Sign In. Note: To log in with your Google account, click on Sign in with Google, then log in with your Google username and password—or select your account.